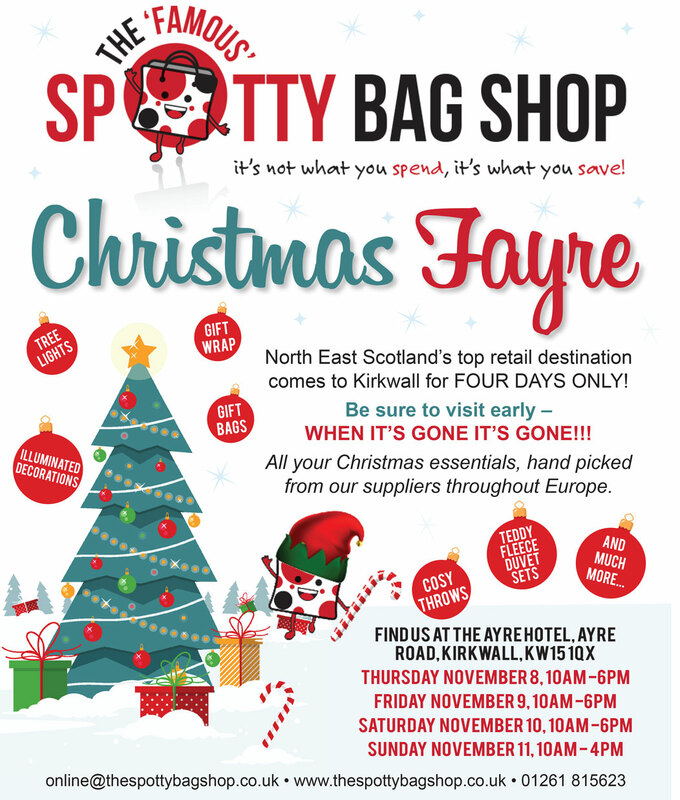 Advertorial: North East Scotland’s top retail destination comes to Kirkwall for FOUR DAYS ONLY! Be sure to visit early – WHEN IT’S GONE IT’S GONE!!! All your Christmas essentials, hand picked from our suppliers throughout Europe.